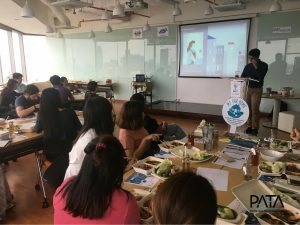 On October 5, 2018, PATA hosted a special staff lunch workshop conducted by the International Labour Organisation (ILO). 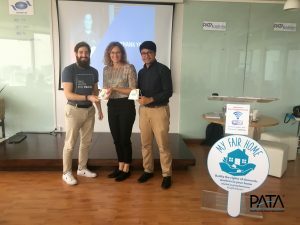 The purpose of the workshop was to instigate behavioural change among employers, encouraging them to commit to giving decent work to domestic workers as part of the “My Fair Home” campaign. The campaign is a result of collaboration between the International Domestic Worker Federation (IDWF) and the ILO. 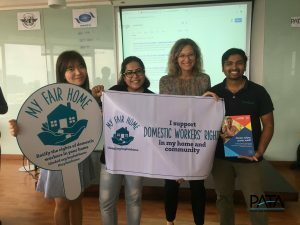 In place since 25 September 2015 in Bangkok, the campaign is a vehicle for encouraging people and companies to create “a fair home” by following the Thai Law, and international standards regarding domestic work. Since 1919, the ILO has aimed to promote rights at work, encourage decent employment opportunities, enhance social protection and strengthen dialogue on work-related issues. 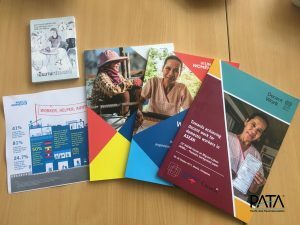 The TRIANGLE in ASEAN programme, under which the “My Fair Home” campaign falls, works on improving conditions for migrant domestic workers across the ASEAN region. We learned that the majority of domestic workers are women and girls; tens and millions of women and girls are employed in a private household. They clean, cook, care for children/ elderly and perform other essential tasks for their employers. Despite their important role, they are among the most exploited and abused workers in the world. 83% of these are women. 90% of migrant domestic workers in Thailand earn less than minimum wage (325 THB/day). Our lunch again was provided by Lankaow Waan – we just can’t help but support their sustainability practices that align with PATA’s values. 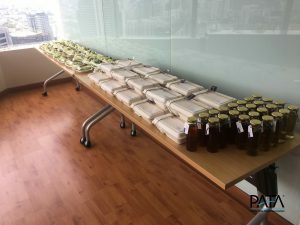 Just like the previous workshop the caterer provided our lunch in recyclable packaging and drinks prepared in glass bottles. The workshop was wrapped up after an action & reflection session. 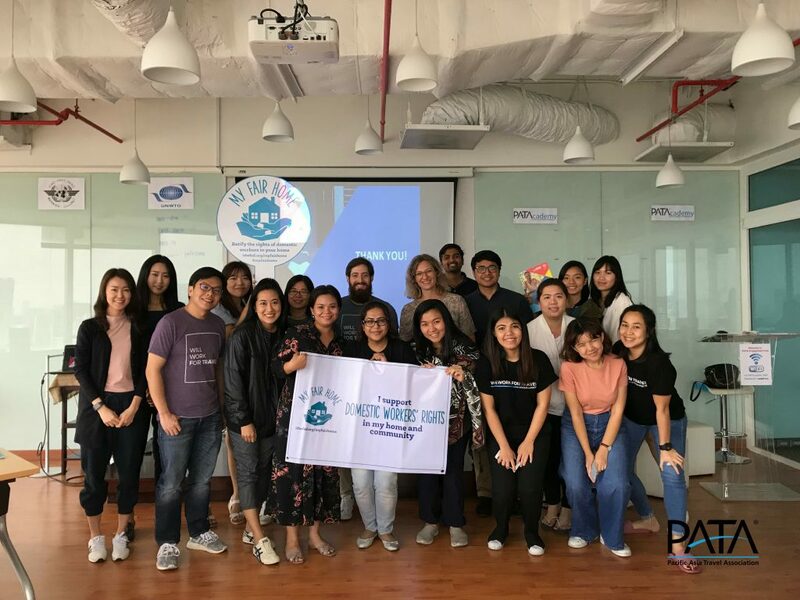 PATA will continue to strengthen the understanding of human rights and human resource issues among PATA staffs and PATA members in the context of travel and tourism. 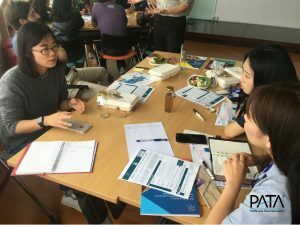 ILO will be back at the PATA HQ to conduct another insightful workshop exclusively for PATA members & partners. Find out how you can help your employees be responsible employers of domestic workers through this workshop. For more workshop details, please do not hesitate to contact PATA Sustainability and Social Responsibility Specialist, Chi Lo at ­­­Chi@pata.org or ILO Campaign Consultant, Aanas Ali at aanas@iloguest.org. 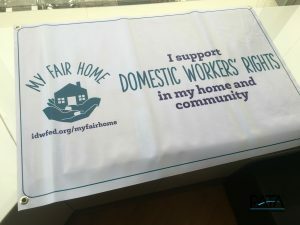 We encourage all individuals to support the rights of domestic workers in your home and community. 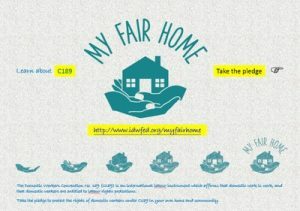 Visit “My Fair Home” to take a pledge!